As part of the Château des Bois Collection, M. Markley Antiques features items made at the ceramic works at Blois and Gien. While Blois went out of existence more than half a century ago, Gien is still going strong and making some of the Renaissance style items we prize so highly. For more information, click on the links above. Go to our Stylistic Origins page for more information on Gothic and Renaissance styles. 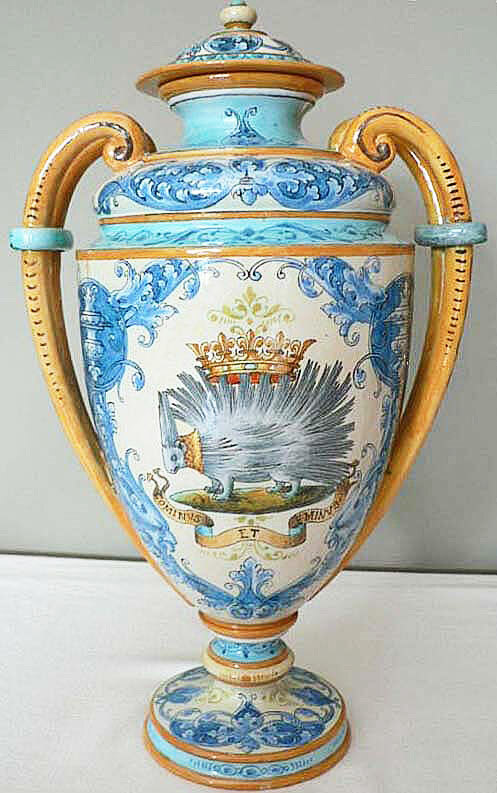 The origins of the Renaissance style ceramics made at Blois and Gien can be traced directly to 16th century workshops from such central Italian towns as Urbino, Gubbio, Deruta, and Faenza. 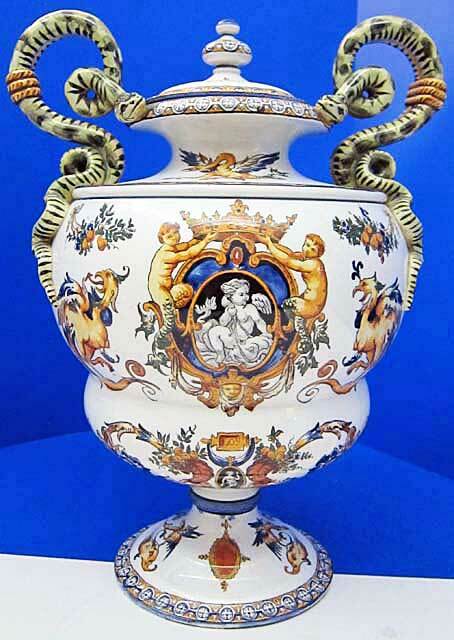 It is from the last town that the term in French for ceramics, faïence, is derived. Fragile as one might expect these items to be, numerous splendid examples survive and are on view in museums and private collections both in Europe and the U.S. Among the most interesting collections are those of the Louvre, the Musée des Art Décoratifs in Lyon, the Victoria & Albert Museum, the Corcoran Gallery, the Metropolitan Museum of Art, and the Frick Collection. The Bargello in Florence mounted an important exhibition in 2012.